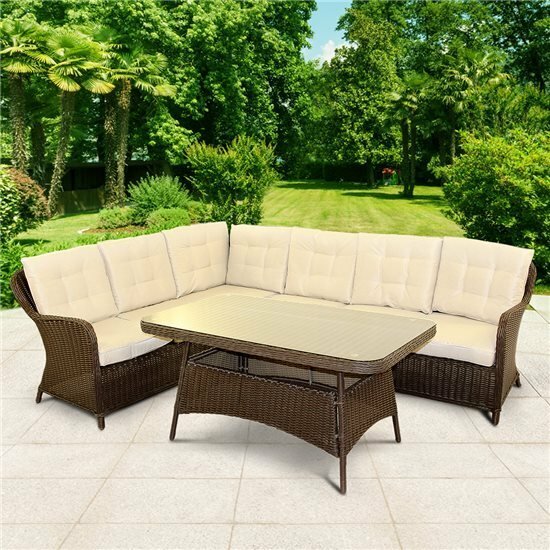 Relax with your family in style with the BillyOh Sala 6 Seat Rattan Corner Dining Sofa Set. With its high-quality rattan finish, supported by sturdy framing, this appealing outdoor rattan dining set makes family meals outside more comfy and enjoyable. 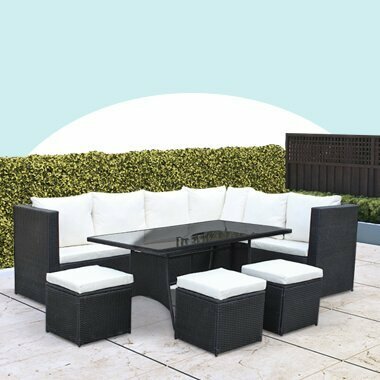 Perfect for large families, this outdoor furniture serves as an attractive feature for your patio area. 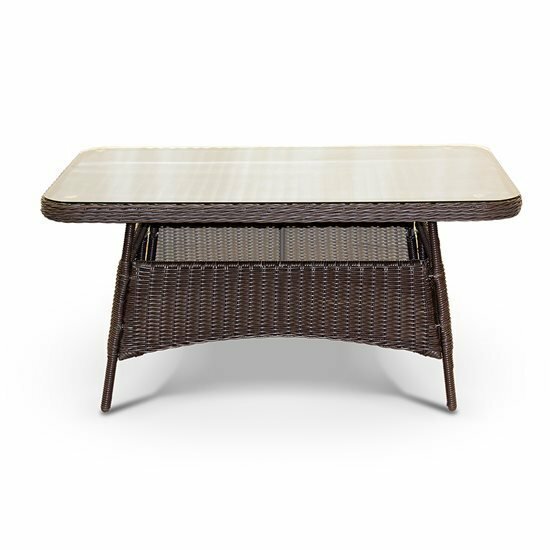 The furniture sets stylish appearance is down to the half-weave synthetic rattan finish. To ensure strength and durability, the whole build is supported by a strong aluminium framing. With this construction, staying outside for long hours means you are guaranteed comfort and support. 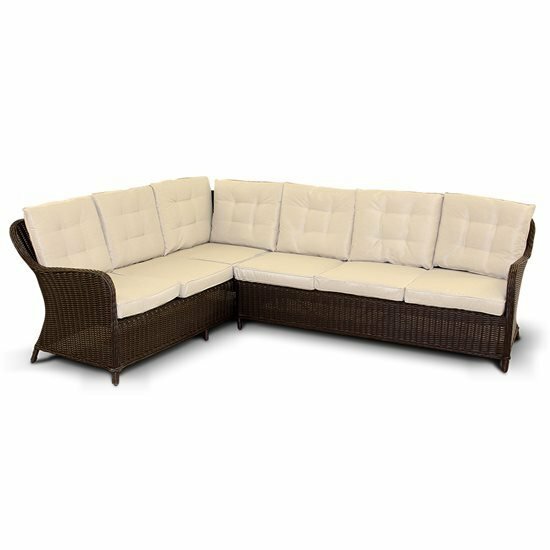 This captivating rattan ensemble comes with thick seat and back cushions. Dine and chat with your family and friends, without ever worrying about getting back pains and strains. Spending quality time with your loved ones is taken to a whole new level and the nickel grey finish complements any garden. 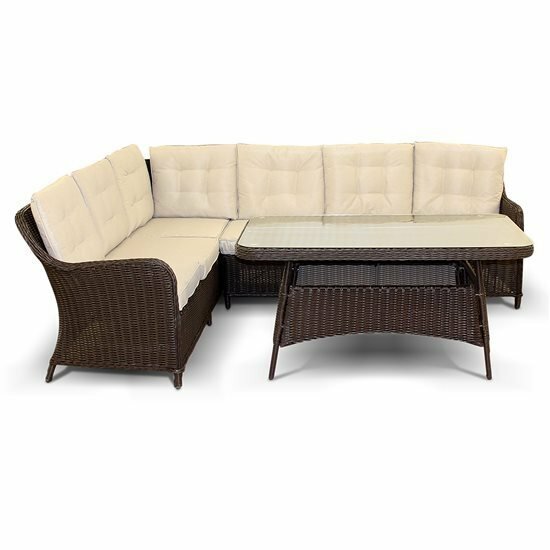 For families who love spending time outside and enjoying sumptuous meals, the Sala 6 Seat Rattan Corner Dining Sofa Set offers the perfect cosy corner to do so. Complete with a rectangular table which is topped with a strong tempered glass surface, this natural-looking corner dining sofa set provides you with enough area to lay all your home-cooked meals and refreshing beverages. Having shade in your garden during blazing summer sun is a welcoming prospect. Keep cool and relax with a stylish parasol. Complementing the Sala Sofa Set perfectly. Choose your preferred colour and enjoy the shade while relaxing outside. We also offer parasol base options to support for the parasol, keeping it weighted down, so that it doesn’t fall over. Chair Dimensions 205cm x 85cm x 78cm 6'9" x 2'9" x 2'7"
Table Dimension 140cm x 68cm x 80cm 4'7" x 2'3" x 2'8"
Back Cushions - Thickness 8cm 3"
Base Cushions - Thickness 8cm 3"